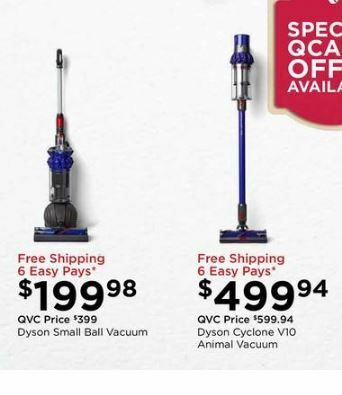 Shop the best Black Friday deals in 2019 on Dyson vacuum cleaners including the V8, V7, V6, Ball Animal and other vacuums made by Dyson. 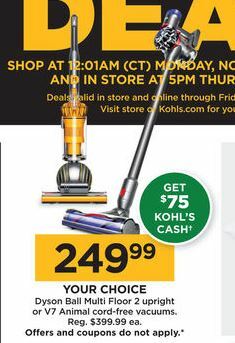 We have scoured the online and print ads to show you the biggest discounts for Black Friday and Cyber Monday 2019. 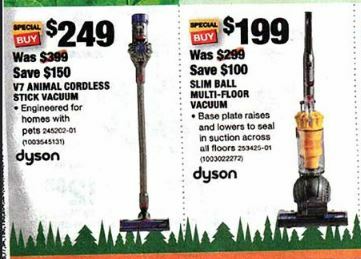 These are last year’s deals! 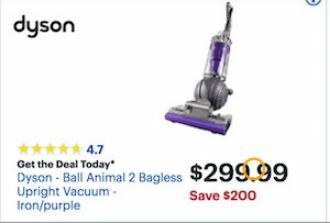 Click Here to see current deals on Dyson vacuums on Amazon. 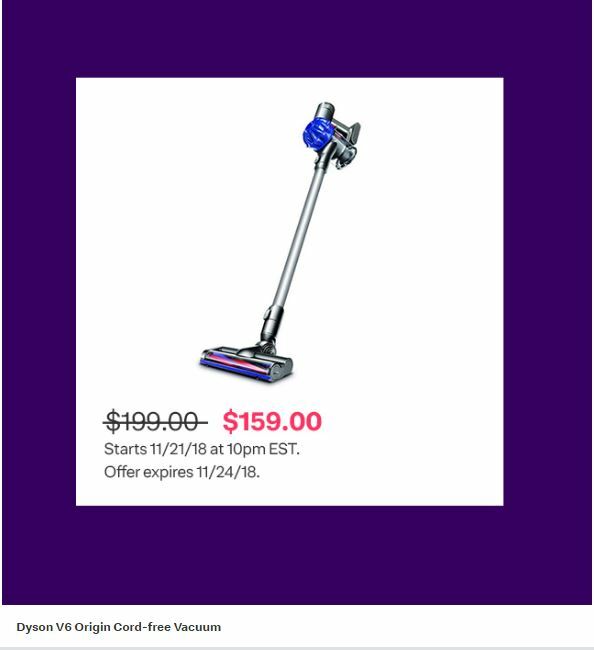 Because Amazon runs deals from November 1st through Cyber Monday, including short running lightning deals, it would be impossible for us to keep up with them. 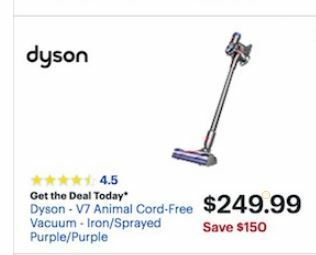 At the time of writing, Amazon had sales on the Dyson V8 Animal, the V7, the V6 (cord free), Dyson Ball Animal 2, and other products made by this well-respected vacuum cleaner company. 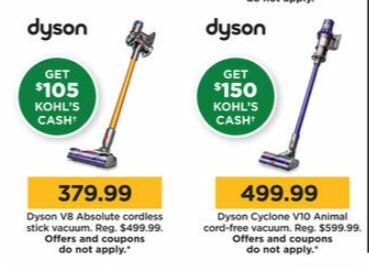 In general, they are offering up to 50% off Dyson floor care products. 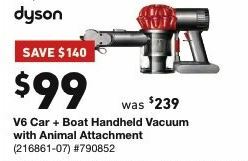 The new motor can spin over 2000 rotations a second and builds on the already popular cordless V8 model from a lighter weight to longer battery life. 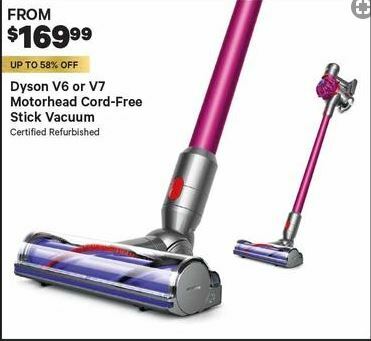 At the launch of the device, founder James Dyson said that they’ve stopped developing corded full-size vacuums because the new motor is as powerful as any upright or cylinder and there is no need to connect to a plug anymore. A linear airflow path also improves the Air Watts of suction by 20 percent. It doubles the battery life to 60 minutes from the V8’s 30 minutes of battery power in use. The company claims that the device adjusts via sensors to deliver constant performance at different air pressures via an on-board barometer. There are three models available, the Cyclone V10 Animal, the V10 Absolute and the V10 Total Clean. The Animal is the entry level model to ge4t you started. 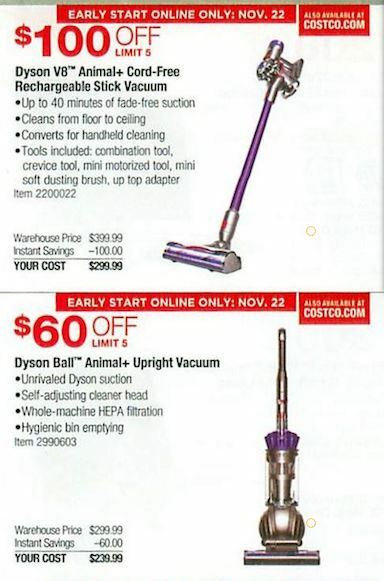 The Absolute adds a soft roller cleanerhead. The Total Clean includes Mattress tool, Up top tool and extension hose. 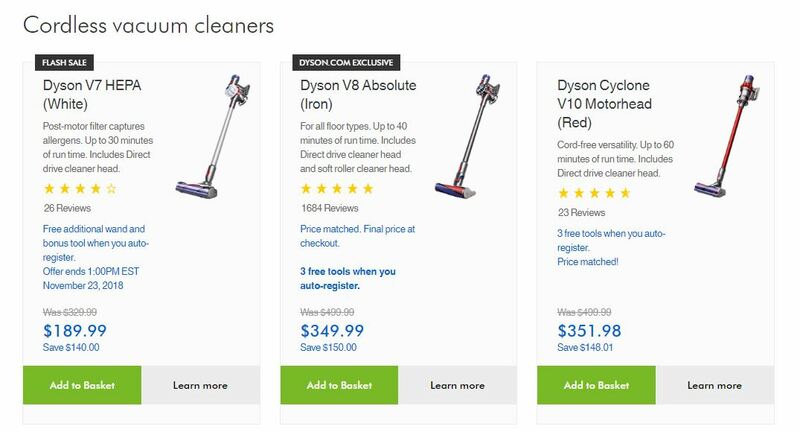 This is the update from Dyson to the 360 Eye, which has been on the market for three years. The highlights will be smarter mapping and better night vision. The new 360 Heurist robot vacuum will have a quad-core 1.4GHz processor and eight LEDs around its camera for guidance in dark rooms. The reports are that it can pick up 60 percent more details, avoid bumping into furniture by 50 percent, and the processor is 20 times faster than its predecessor. 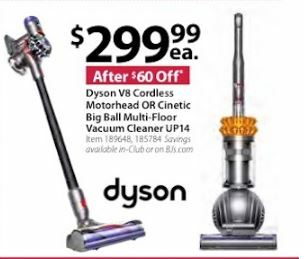 Dyson also says it has the 20 percent more suction power even though it uses the same 78,000 rpm Dyson V2 motor. Runtime varies from 40 to 80 minutes depending on which one of three suction power settings are used. It was initially announced in China and there are plans to launch it there in November. No word yet on a global release, but if it is available over Thanksgiving we will be posting deals here! A purifying fan that senses pollution and traps it. It captures ultrafine pollutants and projects cleaner air around the room. 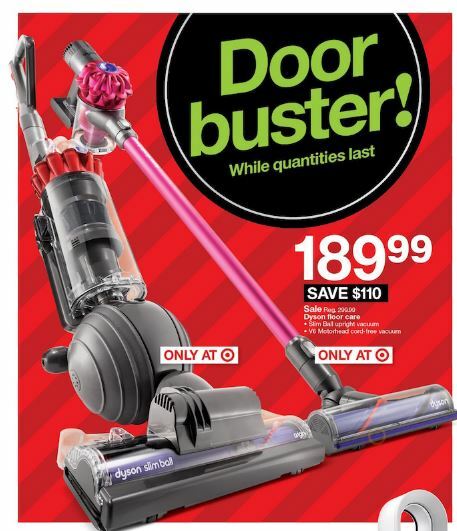 Dyson calls it the “only purifying fan to clean a whole room properly”. Certified ashtma and allergy friendly. Captures 99.97% of particle pollutants as small as 0.3 microns. Control and monitor your home’s air quality indoors and out with the Dyson Link app for your smartphone. 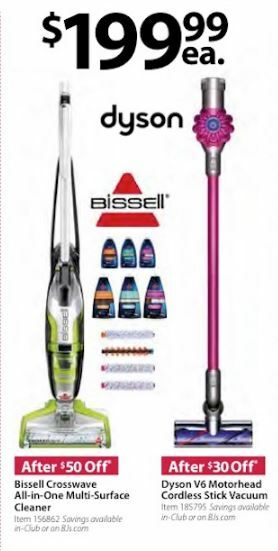 This British technology company founded in 1987 designs and manufactures household appliances such as vacuum cleaners. 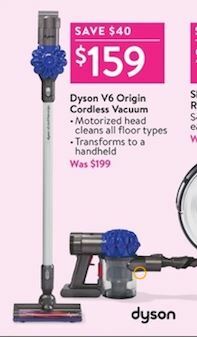 Its founder, James Dyson, invented a vacuum that works without the bag. The transparent container using cyclonic technology is its most popular feature. 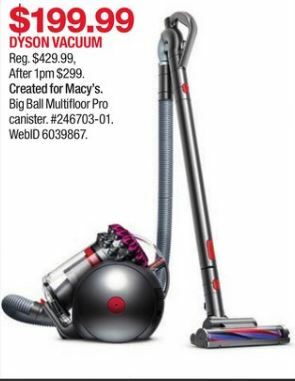 We will be adding more deals and discounts on Dyson vacuums here as we find them. 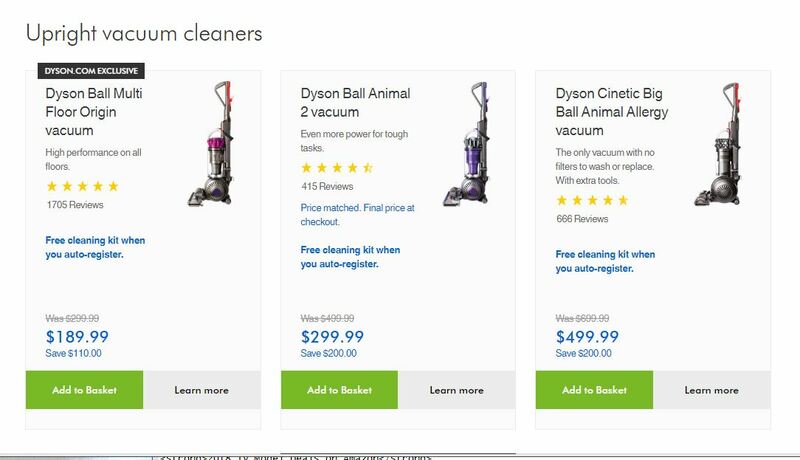 There are still a few months before Black Friday and Cyber Monday are in full swing in 2019. 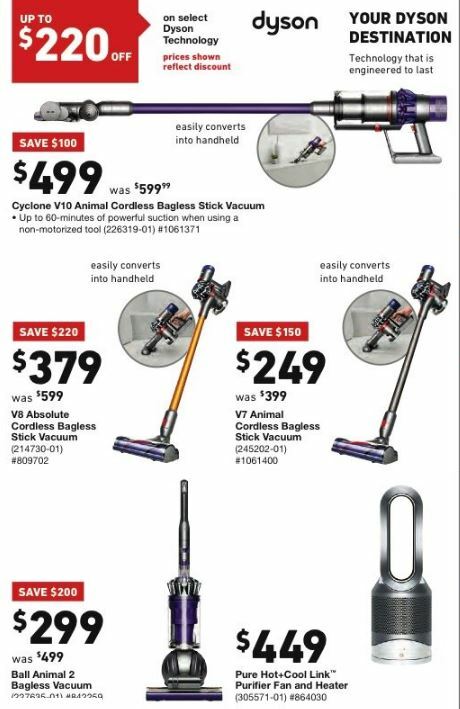 We’re eager to help you clean up this holiday period so stop back soon to see what else we find!